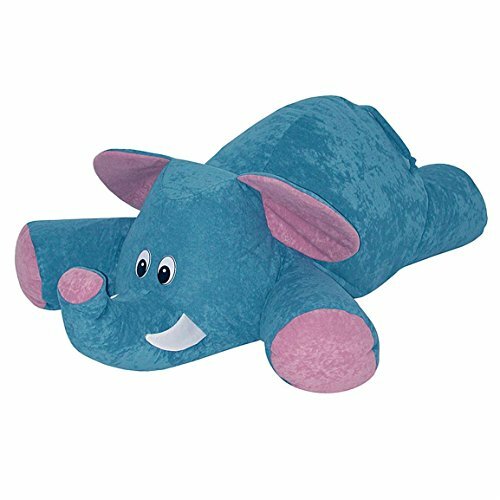 Your child will enjoy hours of fun hanging out with the Elephant Bean Bag Buddy. Whether relaxing watching TV together, reading for fun, of just keeping each other company in bed, those two will be inseparable. Doubles as a stuffed animal when not being used as a cozy seat, this is one wild animal that you want your child to make friends with. Locking, childproof safety zipper and double-stitched panels for your family's protection. Also available in Dog(BBN-DOG) and Bear(BBN-BEAR). If you have any questions about this product by Milton Greens Stars, contact us by completing and submitting the form below. If you are looking for a specif part number, please include it with your message.